Old Wives’ Tales: Are You Having a Boy or a Girl? If you are craving sweet things like fruit, chocolate and desserts, the stork might be bringing you a baby girl. Cravings for salty, sour (like pretzels, french fries and chips) or even protein-rich foods means it might be a boy. Legend predicts that if you have been suffering from excessive nausea and morning sickness during your pregnancy, you’re having a girl. If you didn’t throw up very much or at all throughout your pregnancy, you will have a boy. Unfortunately this pregnancy symptom doesn’t discriminate and often happens during the early weeks of pregnancy. Some pregnant women have the most beautiful hair. A lot of people attribute it to taking prenatal vitamins, but apparently there is an old wives’ tale that can predict the gender of the baby according to your hair. If your hair becomes thick, full and glossy, and you look like you stepped out of a Pantene Pro-V commercial, you’re carrying a boy. If your hair is dull, limp and hasn’t gotten any thicker, it’s a girl. The same goes for your body hair. The thicker and more body hair that you grow, you’re having a boy, if it has remained normal, you’re having a girl. To perform the ring test you will need a strand of your own hair and a ring that you regularly wear, like your wedding ring. Tie your hair around your ring and lie down. Have someone dangle the ring over your baby bump and hold it still. If the ring starts to move in circles, you’re having a girl. If the ring swings from side to side like a pendulum, you’re having a boy. Some people are clumsier than others, but if you find yourself clumsier than usual during pregnancy, it’s a boy. If you remain grounded and still in control of your body, it’s a girl. A study found that the higher a pregnant woman’s blood pressure is 26 weeks before she conceived, the more likely she is to have a boy. 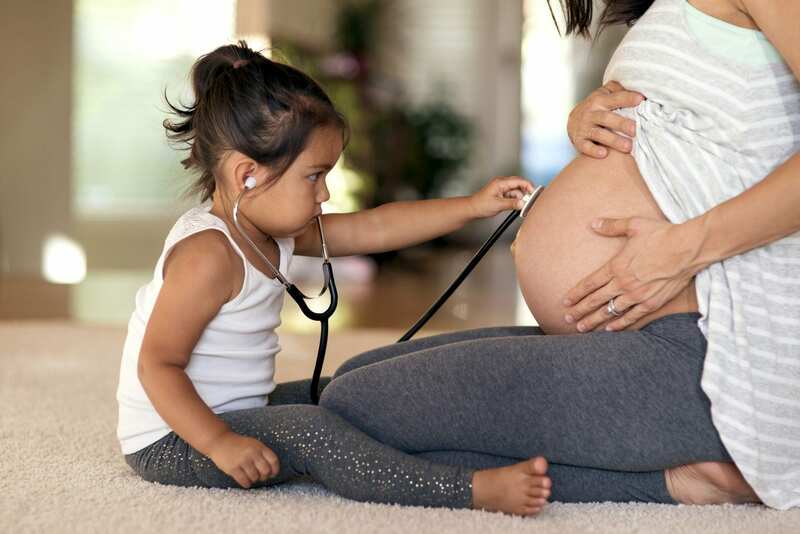 So if you had a doctor’s appointment before you started trying to get pregnant, look back and see what your blood pressure was—it could be the very scientific clue to whether you’re having a little girl or boy.